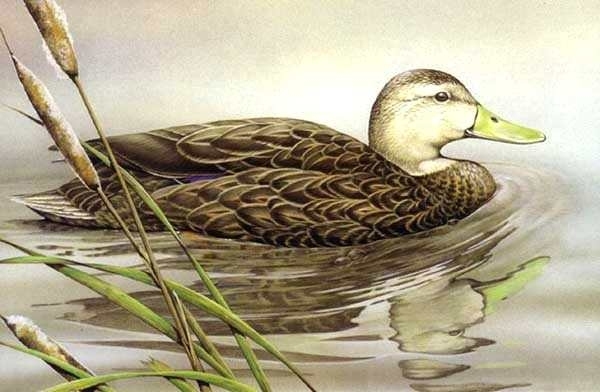 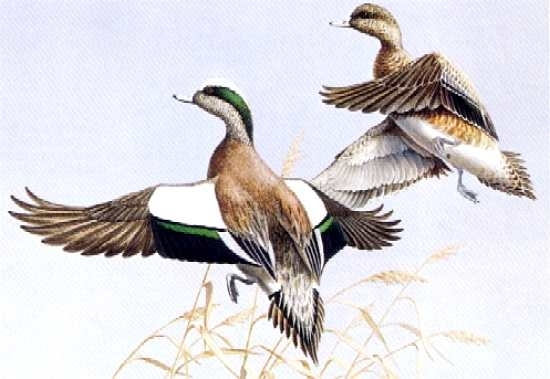 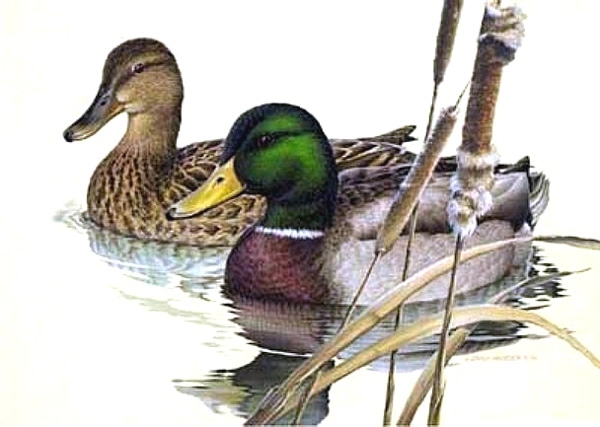 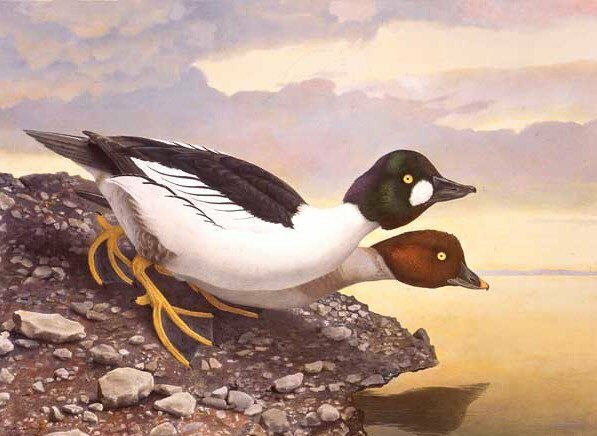 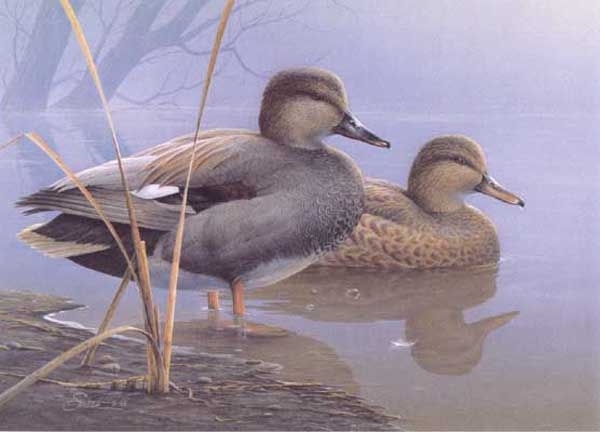 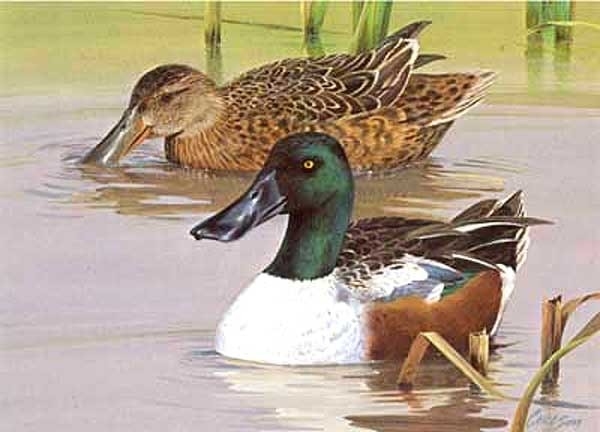 In 1981, Larry Hayden’s design of a mallard pair floating on water became the image for the “1st” Texas Waterfowl Stamp Print, and created a buying frenzy. 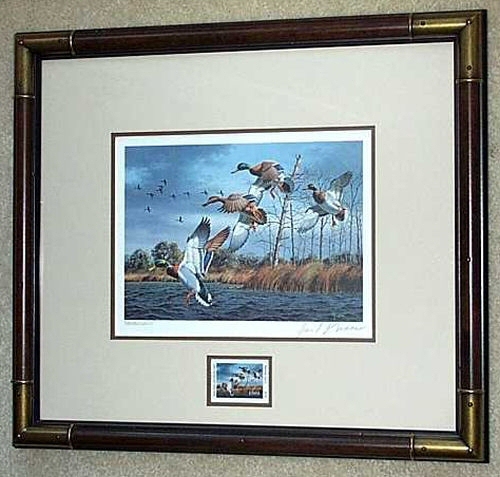 The 16,500 print edition was sold out promptly to anxious collectors. 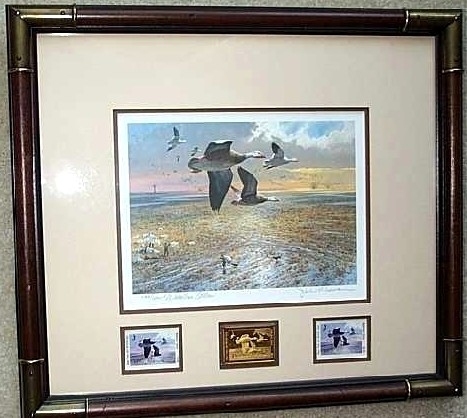 Texans were crazy about Texas Duck Stamp Prints. 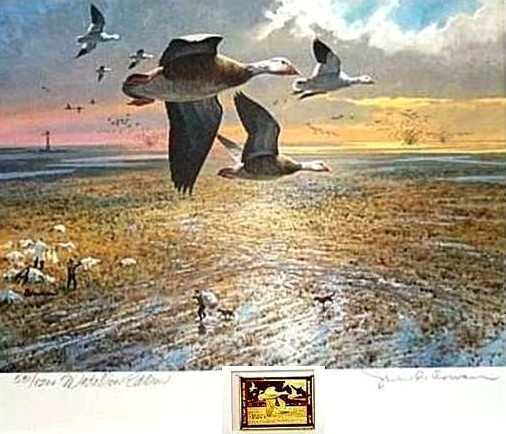 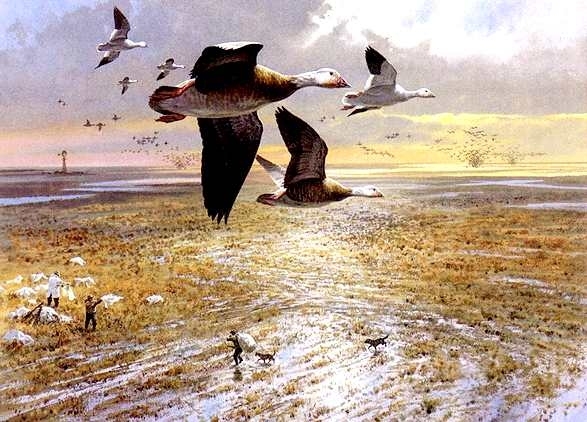 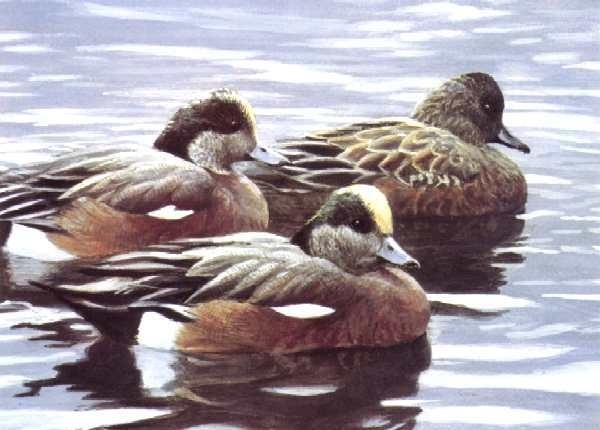 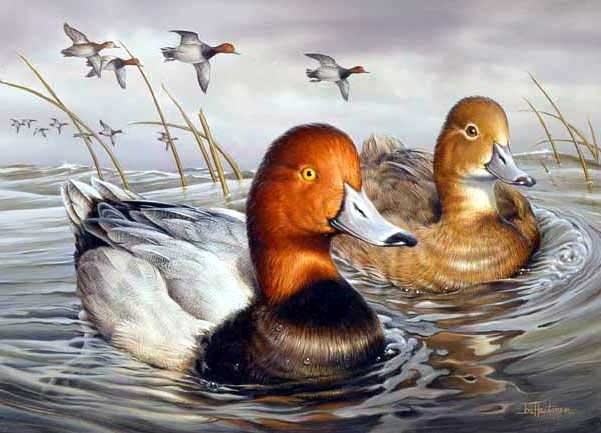 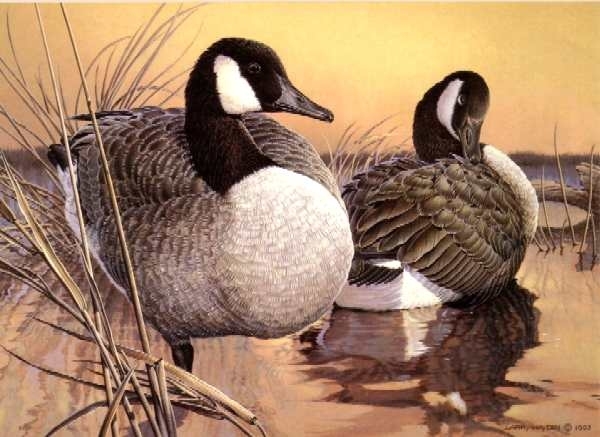 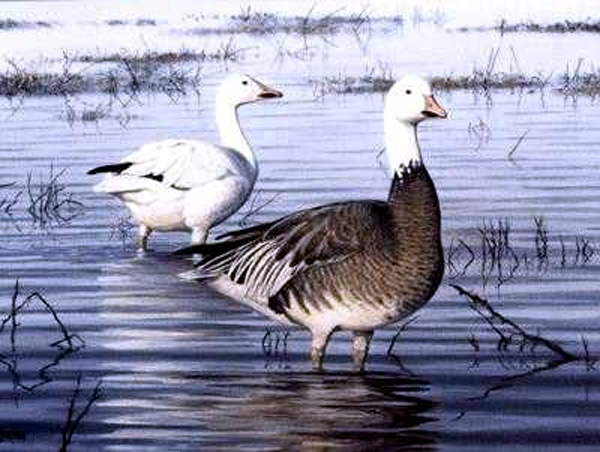 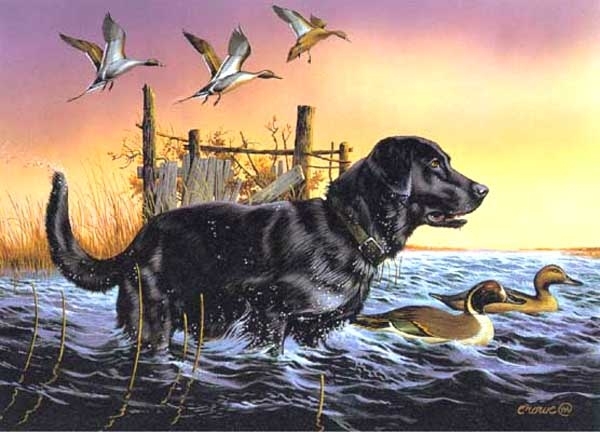 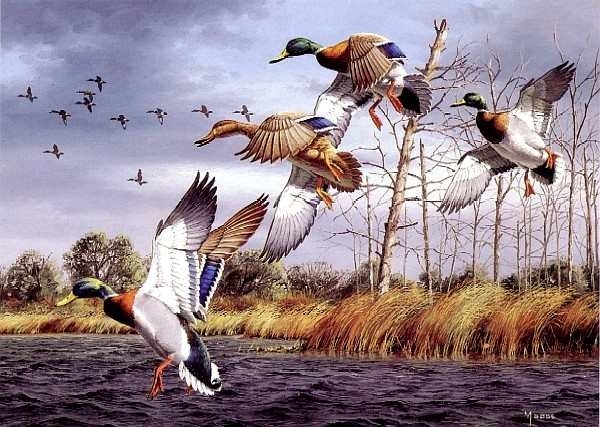 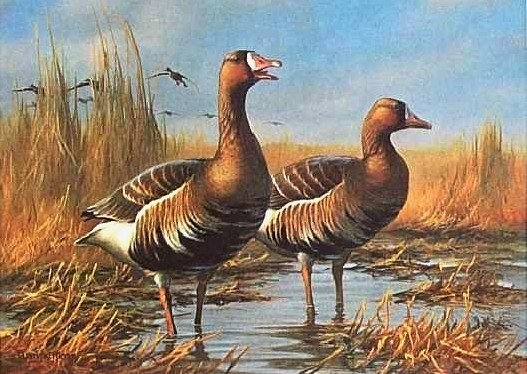 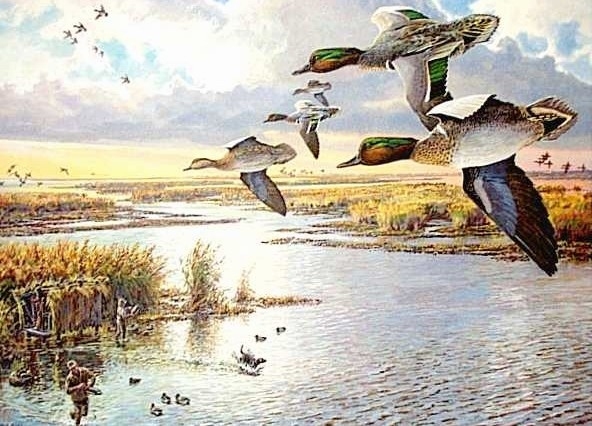 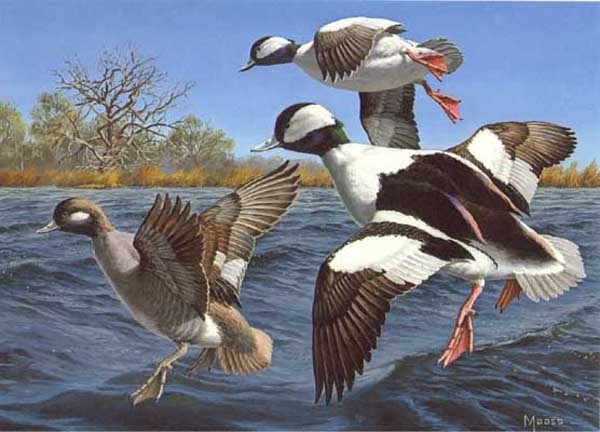 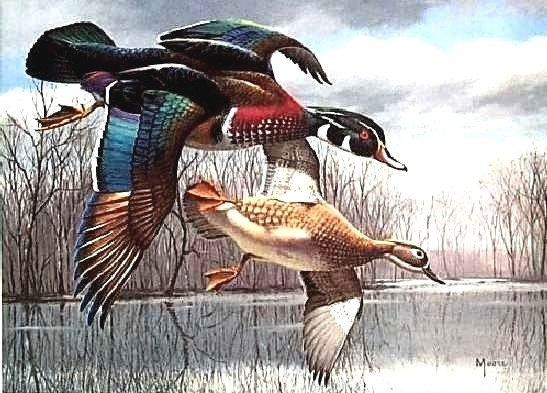 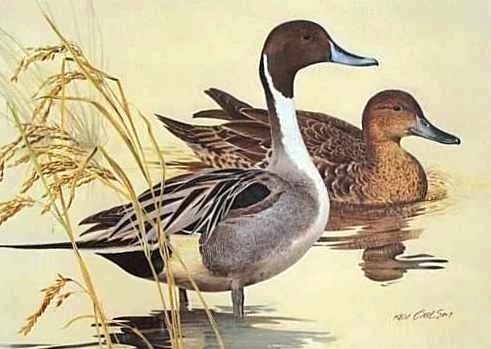 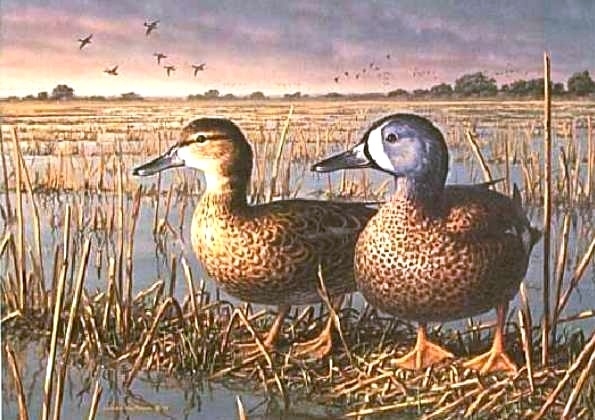 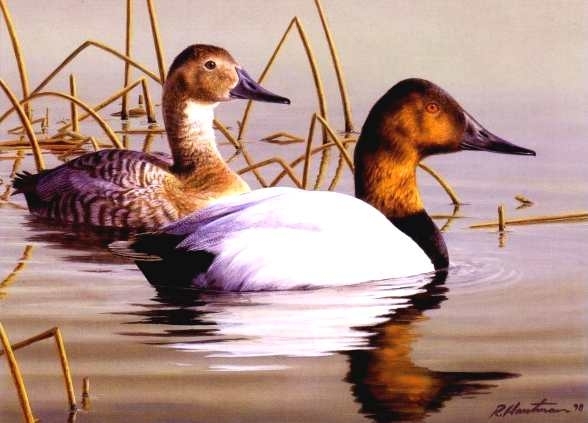 Through the years, Texas Waterfowl Stamp Print collectors have enjoyed the works of a variety of great artists. 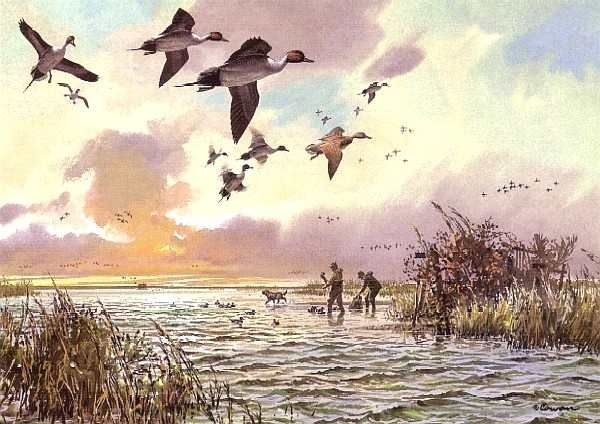 The Texas Program has been acclaimed as one of the top state stamp programs in the U.S. From its frantic beginning in 1981, one thing has never changed: Texans’ interest and enthusiasm for Texas Duck Stamp Prints. 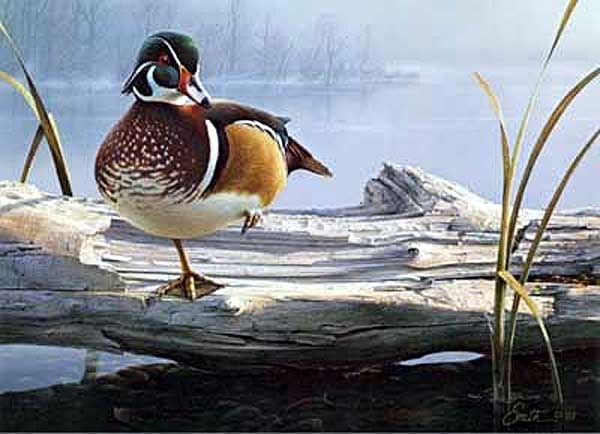 Charlie’s Gallery is proud to have been a part of it, and thank all of our loyal Texas Collectors. 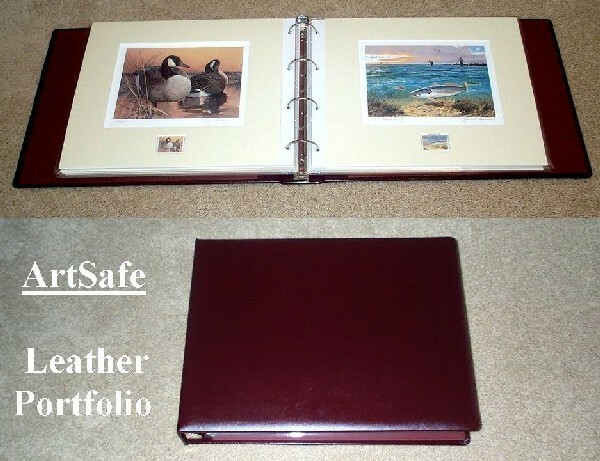 Overall Size : 16" x 18"
Overall Size : 12" x 14"
Image Size : 6.5" x 9"
Padded Burgandy Leather Portfolio, 18.75" x 14.25" x 3"
Mat board with 7.75" x 10" opening accomodates the most popular stamp print sizes. 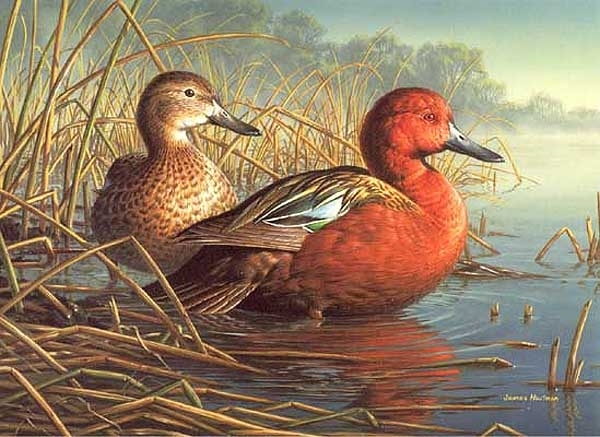 Acid-free conservation quality mat board for fine stamps and print sets.